← Saturday 21st February 1pm. A Nice Day, or a Wild Night Out in the Country. Meet the independent women of the late 1800s and early 1900s. 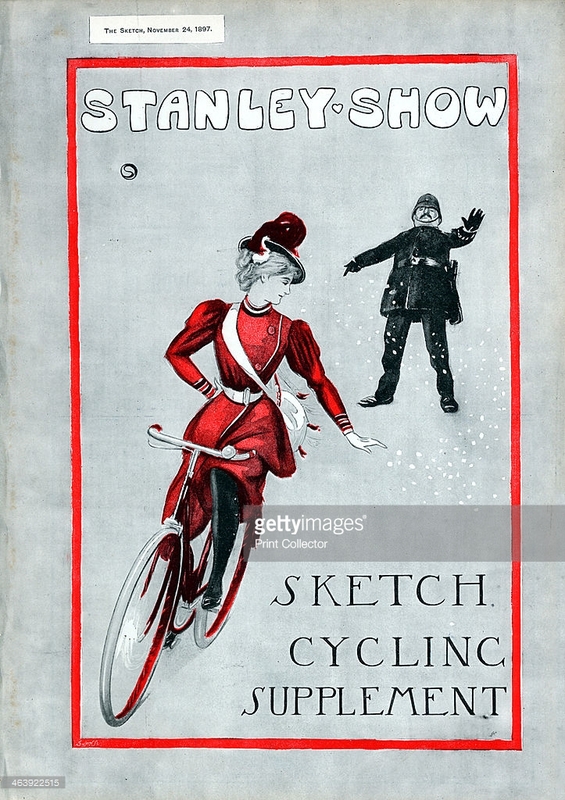 Long before the Boris bike (though that should really be the Ken bike) the Rover safety bicycle offered new freedom to women as well as healthy outdoor exercise. Fashion adapted to meet these new demands, introducing simpler more business-like styles. In America, Amelia Bloomer gave her name to a particular form of comfortable clothing, while a few years later in the UK, the Rational Dress Society protested “against the introduction of any fashion in dress that either deforms the figure, impedes the movements of the body, or in any way tends to injure the health. It protests against the wearing of tightly-fitting corsets; of high-heeled shoes; of heavily-weighted skirts, as rendering healthy exercise almost impossible; and of all tie down cloaks or other garments impeding on the movements of the arms” . Its members were more likely to advocate Dr Jaeger’s ‘sanitary’ woollen wear. Just the thing for the the aspiring doctor studying at the London School of Medicine for Women! Join my walk on Saturday 16th January to discover Bloomsbury’s ‘New Women and they legacy they left behind. Image | This entry was posted in Hidden Heroines, Hidden Histories, Hidden People and tagged Bloomsbury, new woman, women. Bookmark the permalink.